It doesn't matter how many years you do a craft... when you start working on technique things are going to go wrong. Last week I heard Dora Ohrenstein talk on Power Purls about her crochet designs. I loved her attitude towards design so I looked her up on Amazon. What I found was that she is incredibly generous with her knowledge of crochet construction. So I purchased and read The Crocheter's Skill Building Workshop. 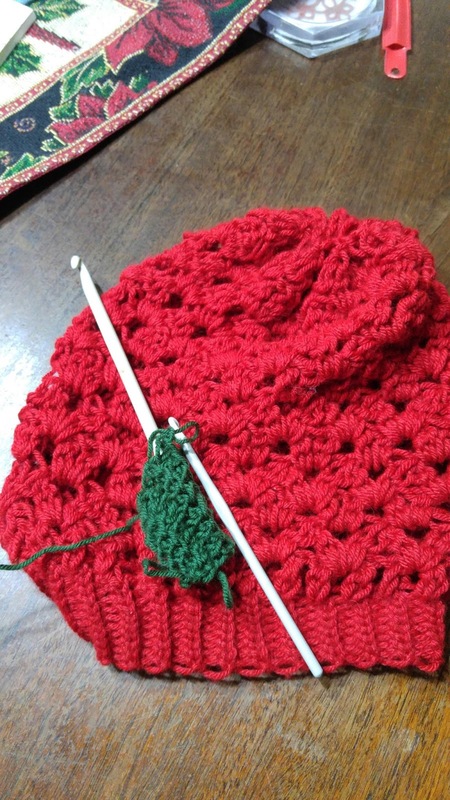 Then I started the Slouchy Hat. As per instructions I purchased a similar thread and did a swatch...that was way smaller than the gauge suggested. No matter how loose I crocheted I couldn't get it even close. After several tries with way bigger hooks I changed thread to one a little larger. This was closer and I started the ribbed band (turned out smaller than measured but fit my head) then I started the Hat Body with a bigger hook that came close to gauge and I was kinda getting the hang of a lesser tension. All the while thinking this lady must crochet very loosely. It wasn't until I reached half way through the hat body that I finally realised what was wrong about the band.....I did a slip stitch ribbing not a single crochet! Lol! For some reason despite doing a lot of amigurumi I completely putzed the single crochet. I finished my hat and started a swatch again with the right stitch. Much closer to what Dora suggests! So sorry Dora about the ugly thoughts that might have been cast your way in the last 24 hours. I'm sure that Dora will smile at the very least if she reads your post. Like Jane, I can identify.